Ralph Nader is being honored by the auto industry, of which he has been a persistent critic for more than 50 years. 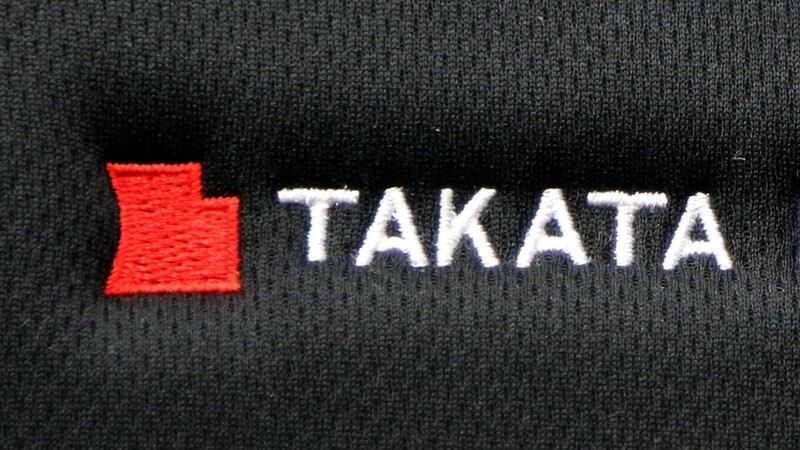 Nader will be inducted in the Automotive Hall of Fame in Dearborn, Michigan, on July 21 for his work on behalf of improving auto safety. Nader first came to public attention with his 1965 best seller: "Unsafe at Any Speed - The Designed-In Dangers of the American Automobile." The book focused much of its criticism on the Chevrolet Corvair, a sports car with an engine in the rear of the car. Difficult to handle, the car was involved in many crashes and prompted more than 100 lawsuits against GM (GM). Nader said he was "pretty astounded" when he was told he would be inducted. "It must have been a case of mistaken identity," he told CNNMoney. Nader said he called Clarence Ditlow, the head of the Center for Auto Safety, and Joan Claybook, a former National Highway Traffic Safety administrator, and the first thing he told each was, "You won't believe this." His work on auto safety helped impose a number of safety regulations in cars, such as requiring the installation of seat belts, and he helped to win the creation of the National Highway Traffic Safety Administration, the federal agency which requires dangerous cars to be recalled. There has been a steady decline in U.S. traffic fatalities since 1972 even as there were more vehicles on the roads. 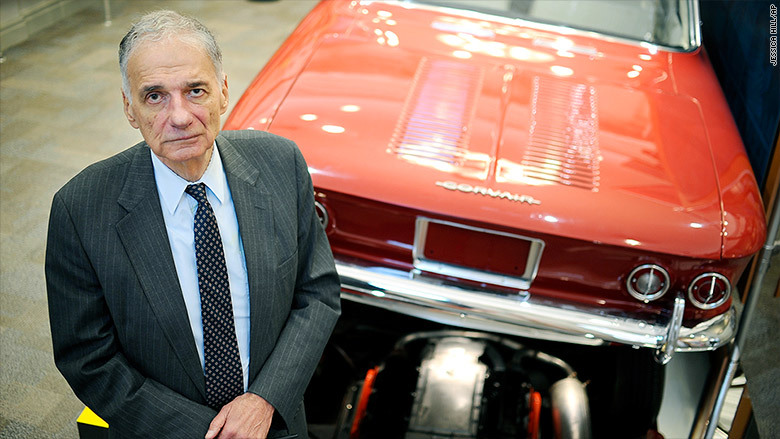 Nader will join a group mostly made up of automobile executives and engineers, such as Henry Ford, Harvey Firestone and Lee Iacocca. Other 2016 inductees include Alan Mulally, the retired Ford Motors (F) CEO credited with turning around the company and keeping it out of bankruptcy during the financial crisis. All inductees are selected by a committee made up of the museum's directors. "There was a debate, maybe more than the average person," said Bill Chapin, president of the hall of fame and a member of the committee. "If we were doing this in 1965, it might be a problem. But today people recognize the value of what he accomplished." Even some of those who have been harsh critics of Nader agree there's been a change for the better on auto safety due to his work. "The book had a seminal effect," said 2013 hall inductee Bob Lutz, who was a top executive at all three major U.S. automakers in an interview last year with the New York Times. "I don't like Ralph Nader and I didn't like the book, but there was definitely a role for government in automotive safety." Nader said he does appreciate that cars are much safer today than they were 50 years ago. He estimates that 3.5 million lives have been saved because of the improved safety of the cars. He said there are three reasons for improvement - government regulation, liability lawsuits and the fact that safer cars are now a selling point. "That was a taboo in 1965 - they kept saying safety doesn't sell," he said. "Today it's part of most of their marketing campaigns." But he said he's disturbed by continued safety and quality control problems that have led to record recalls in recent years. Nader is different from other Hall of Fame inductees in other ways - he hasn't owned a car since a 1949 Studebaker. "I have to be carefull. If I owned a car the automaker would find out and do an ad saying 'Ralph Nader owns this car,'" he said.